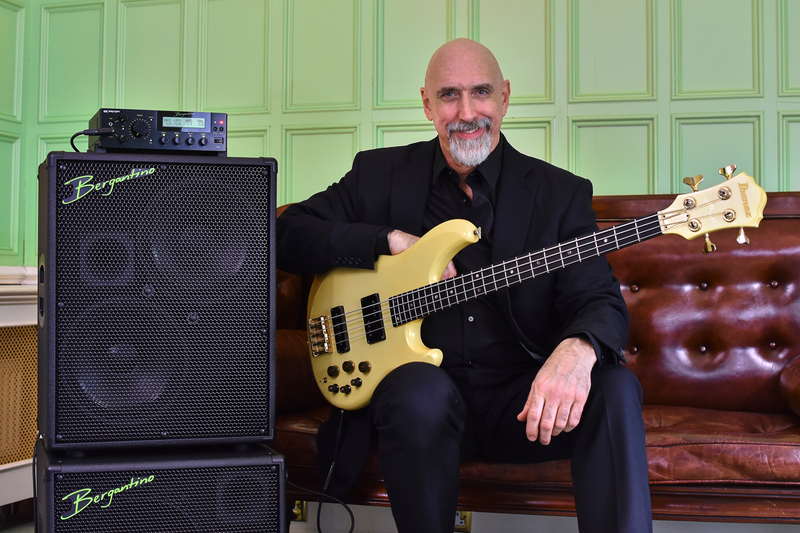 Bergantino Audio Systems is honored and excited to welcome UK bassist, Dave Swift, to Bergantino’s endorsing artist roster. Starting with trombone as his first instrument at the age of 14, then picking up the bass a year later, Dave Swift has had an amazing musical journey and career. Consequently, he now has established himself as one of the UK’s finest high-profile bass players. Throughout that nearly 40-year career, Dave has amassed a truly impressive performance portfolio working with some of the finest musicians and artists in the world. These include playing and recording with George Benson, Chaka Khan, Eric Clapton, Paul Simon, Adele, Michael Bublé, Smokey Robinson, Bonnie Raitt, Amy Winehouse and Ed Sheeran, to name but a few … oh and not to forget that Dave has also played with three of The Beatles and two of The Rolling Stones! Dave has also been the featured bassist on seven double platinum selling albums. Between his professional work with Jools Holland and his Rhythm and Blues Orchestra, recording sessions, TV and radio performances, tour dates and his must-read columns for Bass Guitar and Bass Player magazines, Dave certainly is one of the busiest bassists in the UK music scene today. “I’m very discerning when it comes to bass amplification, particularly at this stage in my career. In recent times I’ve been craving far greater control over my sound, wanting to sculpt the tone I hear in my head in a specific way, with surgical-like precision, so I have been searching for an update to my gear that would fit me the best. For me, playing double bass, electric upright bass and bass guitar on tv, radio and on tour requires amplification that is reliable, versatile, intuitive and inspiring. It also has to be physically light, but still full-bodied & muscular sounding, yet also be an interchangeable and modular rig. Not to mention when it comes to the quality of the amplified sound itself, I need to be seriously impressed. “It’s been such a pleasure getting to know Dave on both personal and professional levels. We both share the same love of great Italian food and the ability to carry on a conversation! It’s always great talking ‘shop’, learning about his amplification challenges and experiences, both live and in the studio over the course of his career. We spent one of those long conversations going over the feature set of the B|AMP, explaining how it could address these challenges and help him achieve his desired tonal goals. As an engineer, I know working with Dave so closely will certainly help to push the envelope of our bass amplification designs well into the future.